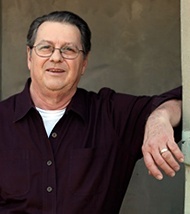 Tony Butka worked for almost 20 years as a neutral, retiring on May Day 2012 from the California State Mediation & Conciliation Service, where he was a Presiding Conciliator. He is now available for arbitration, mediation, elections & fact-finding to the parties. From mid-2012 until mid-2017, Tony worked part-time as the Interim Executive Director of the Los Angeles County Employee Relations Commission. This website contains information on the types of services rendered, short and long form biographical information, how to contact Tony, and a series of links to the various players in our labor relations community — neutral, management, labor.